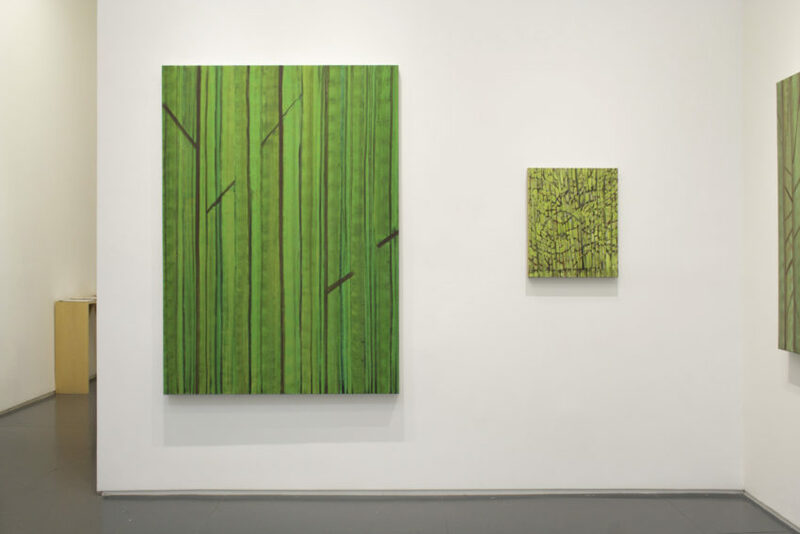 Benjamin Butler’s work since 2001 has depicted mountains and trees shown in varying modes of abstraction. 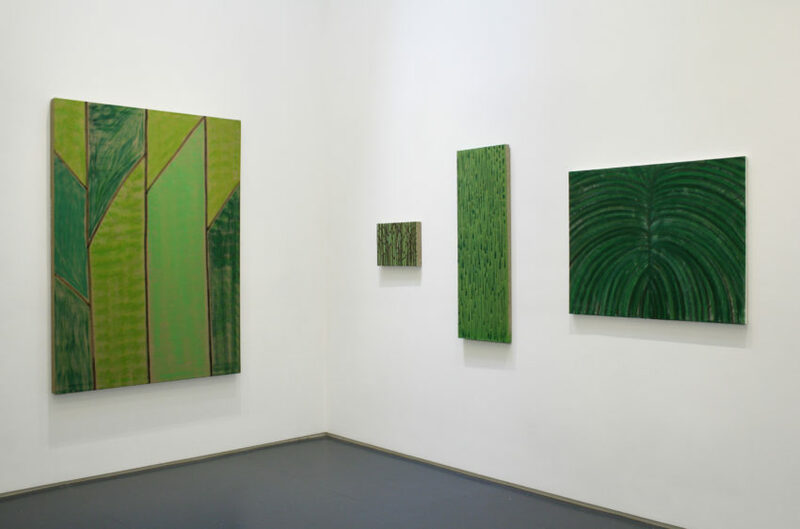 His imaginary landscapes are constructed through a straightforward approach, repetition of motifs, and a personalized synthesis of the languages of modernism. 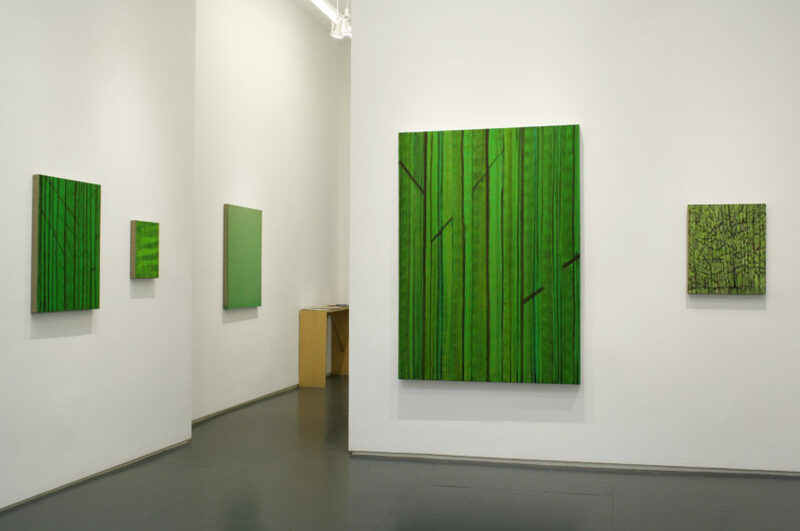 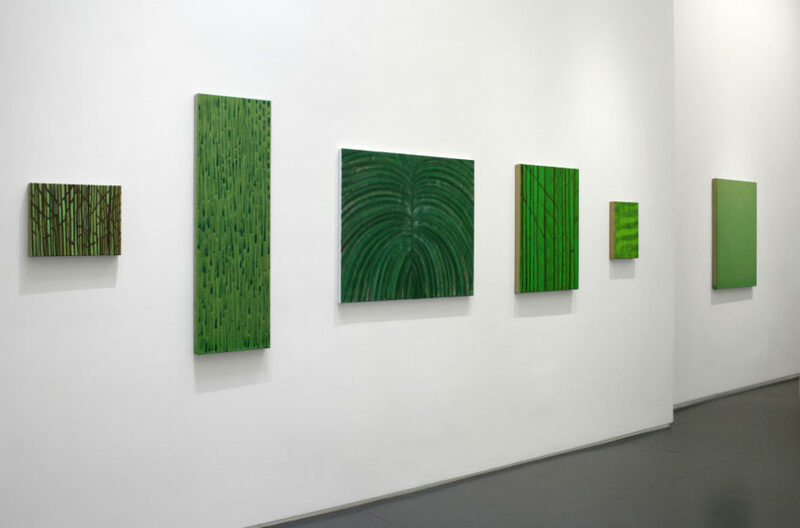 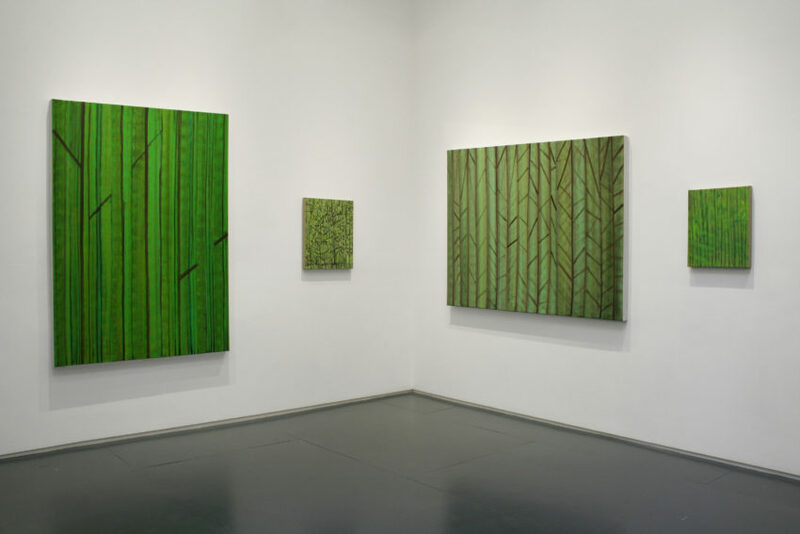 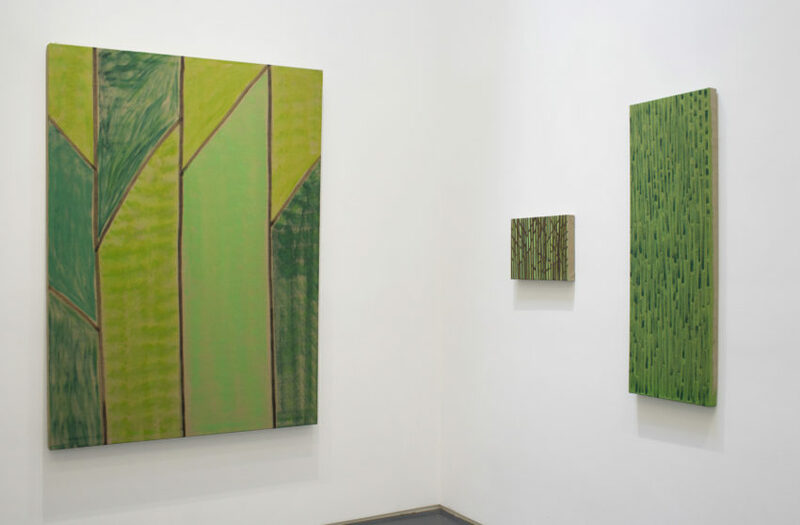 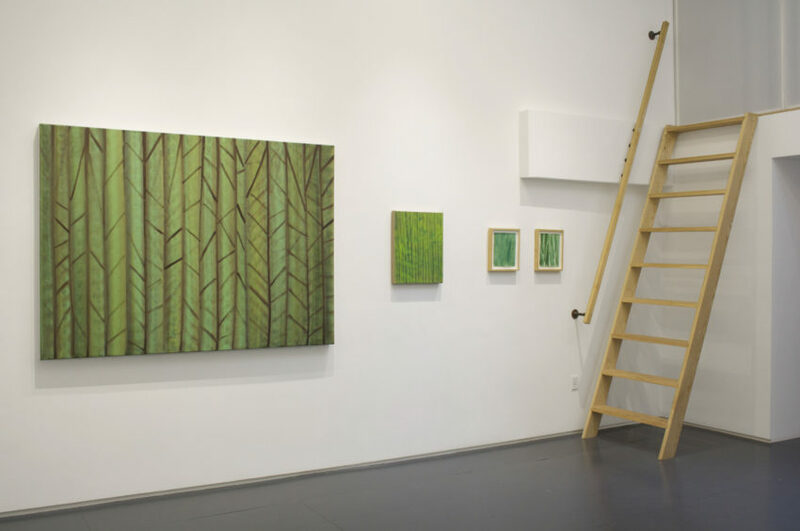 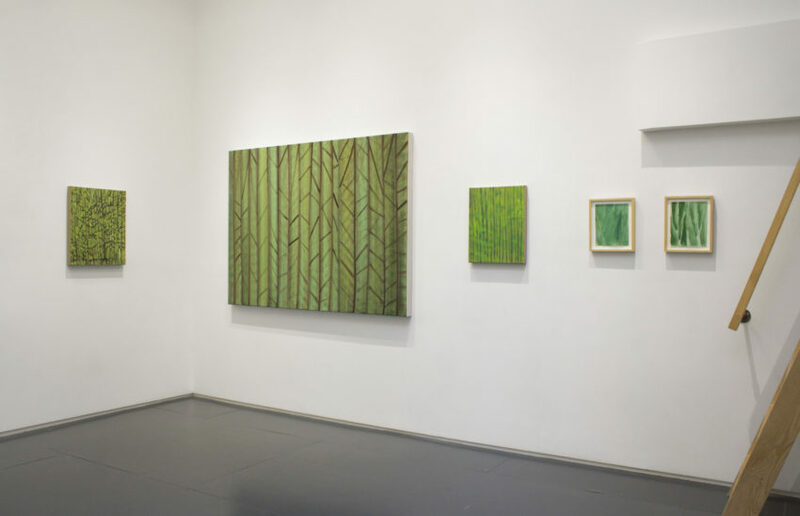 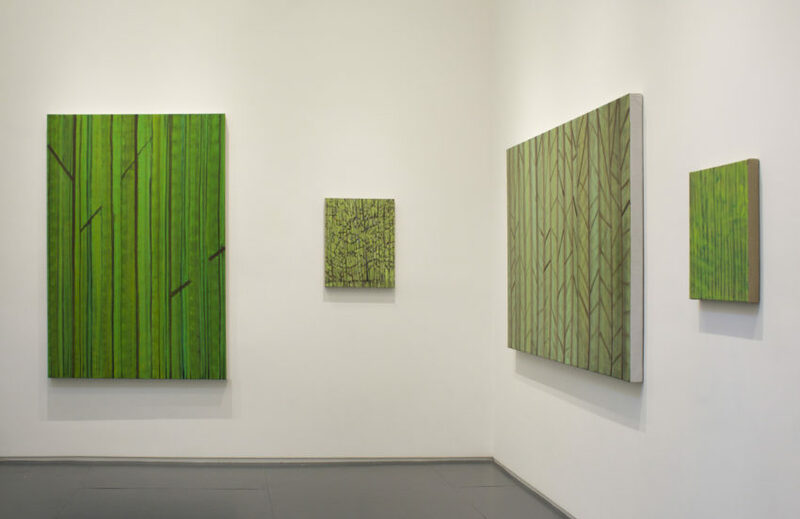 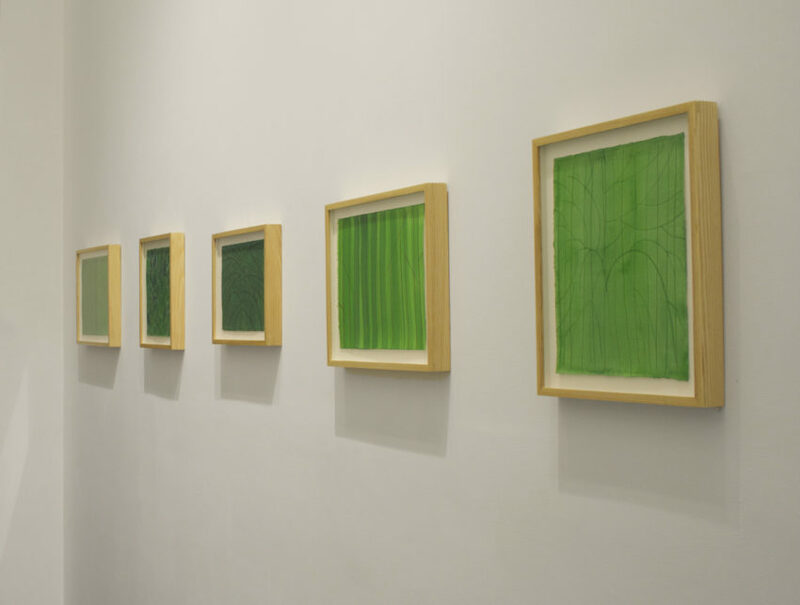 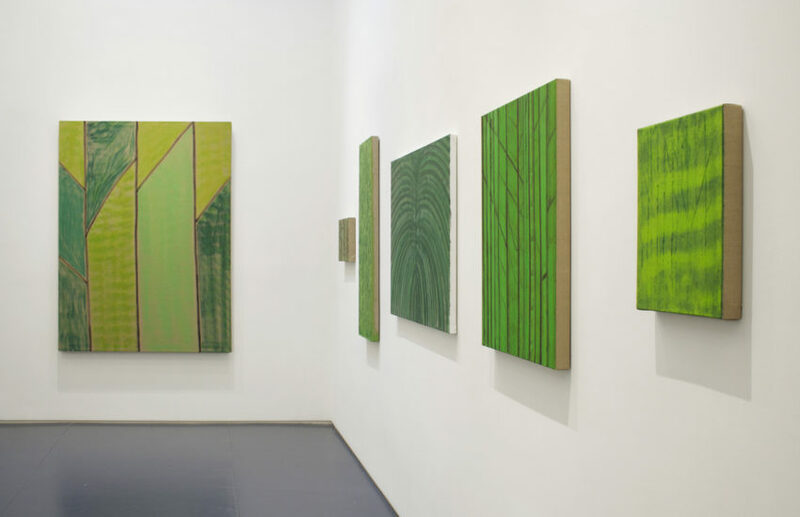 Green Forest is a new group of paintings made by Butler since relocating to Vienna, Austria from New York City in 2012. 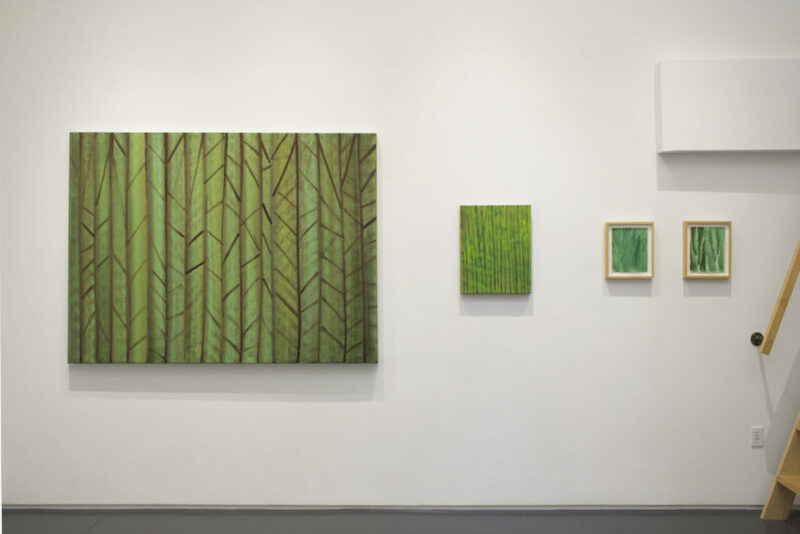 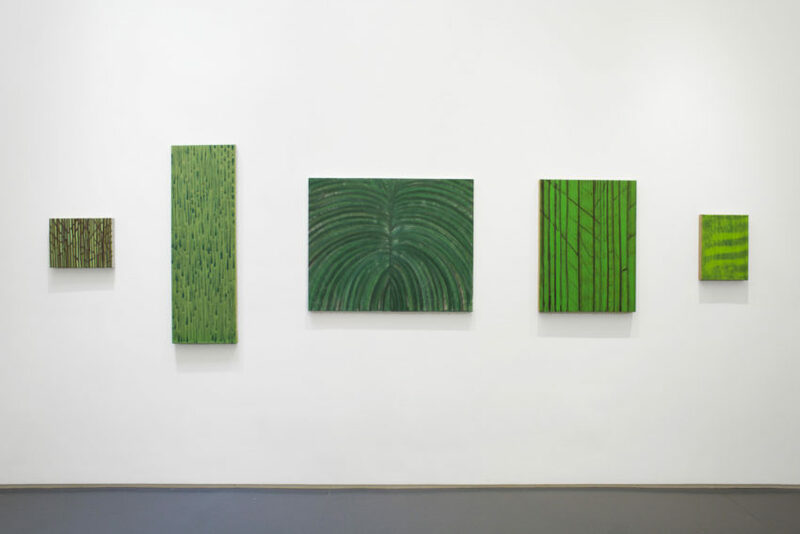 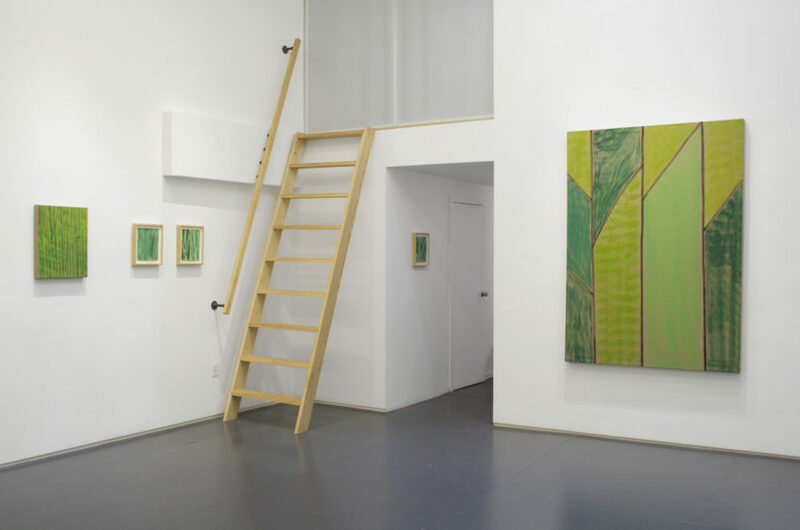 Limiting his palette to the color green, Butler’s new paintings act as individual pictures and also as an installation, conjuring up a dense and lush forest environment. 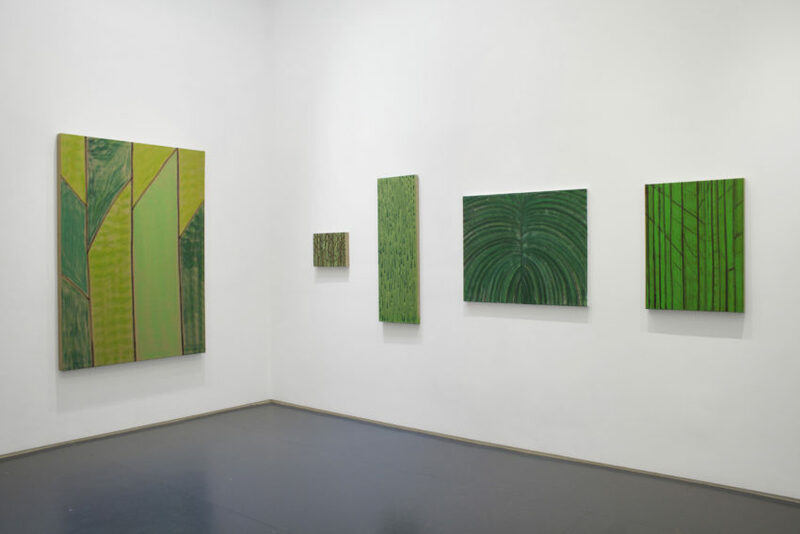 While they are painted in similar hues, they vary greatly in terms of technique, level of abstraction, and their reference points ranging from monochromes and minimalism to impressionism and psychedelia.